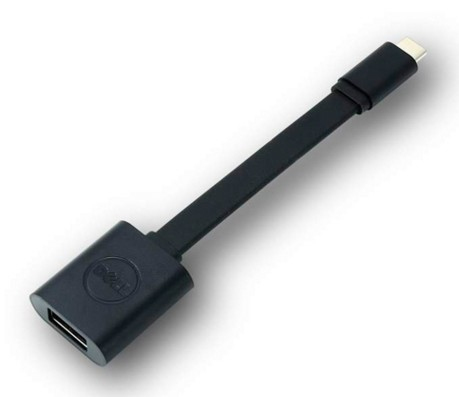 With the Dell USB-C to USB-A 3.0 adapter you can connect your computer with USB-C port to standard, newly released, USB-A 3.0 devices and accessories. The Dell Adapter USB-C to USB-A 3.0 is the perfect solution for synching data and charging between your legacy computer and the latest tablets, smartphones and other devices. Simply plug the USB-C end of the adapter into your computer's USB-C port. Then connect your USB-A 3.0 camera, smartphone, tablet device or other device. Plus, you can also connect a USB cable to charge your smartphone or tablet.